For organizations striving to stand out from the competition and connect with target audiences, we provide transformative brand marketing solutions that drive growth. Through research, strategy, and creative, we build authentic brands that shape perceptions and set you apart from your competitors. By aligning the goals of your business with those of your audiences, we bring your brand to life through a high-performing website. With modern digital strategies, we attract, engage, and nurture prospective customers, potential employees, and other critical audiences. (Olive & Company) continue to impress us with their expertise and passion for helping us find the right solutions; we’re very satisfied customers. Not only are (Olive & Company) extremely talented, detail-oriented, and knowledgeable, they took the time to understand our brand and objectives and exceeded our expectations. 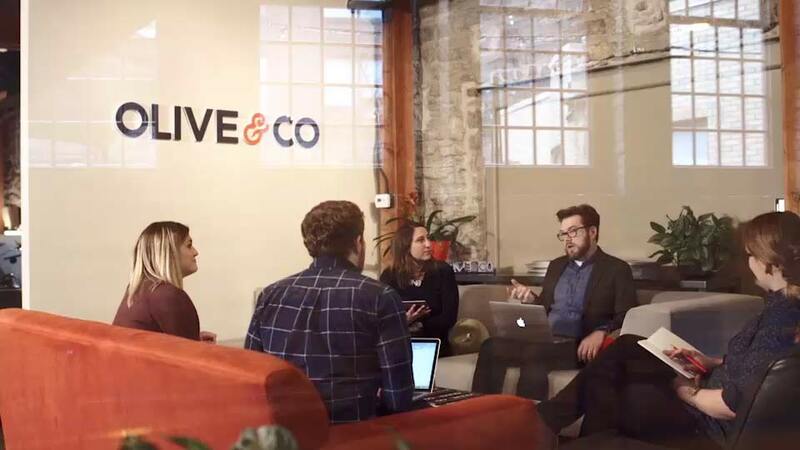 (Olive & Company) have supercharged two or three of our most important efforts, getting us to market faster with something that is smart and uniquely Star Tribune. Olive & Company's customer service is every bit as great as its design work. They are creative yet practical and their work is top quality. They rock! Olive & Company worked with us from branding to web site design to print design. They are creative, responsive, and a great partner in creating our brand! Olive & Company worked with Harris to refine their corporate architecture and brand platform and identity, culminating in a cohesive, modern web experience that covered the full spectrum of their offerings and services. What is Content Marketing and How Can It Help My Business?